Installed and working WebDAV Portal (recommended to install on same server as Portal). Installed and error-free Windows Server 2012 R2. Certificate for desired cloud folder URL (e.g. file.hosting.com). Application server: .Net Framework 4.5, Web Server (IIS) Support. File and Storage services: File Server, File Server Resource Manager, Storage Services. 6. Website with same name as your desired URL (e.g. file.hosting.com). Windows and basic auth, WebDAV enabled for website. 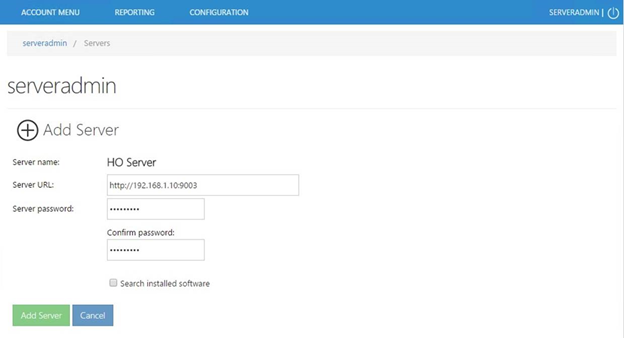 Perform installation only on Cloud Folder Server machine. Ensure that newly created User (the one from step 6 of deployment guide) added to Domain Admins group in Active Directory. 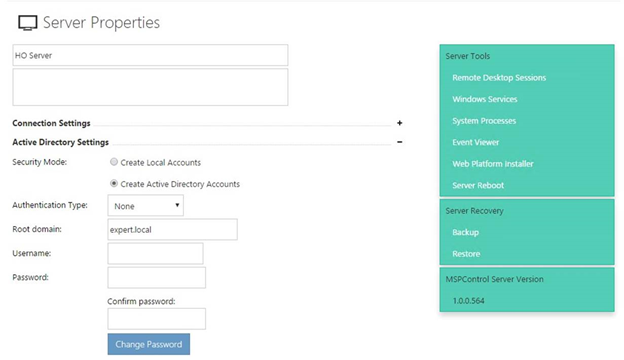 Go to MSPControl Portal> Settings> Servers and add your new server with password from step 7 of deployment guide. Leave Search Installed Software unchecked. 9. Done! 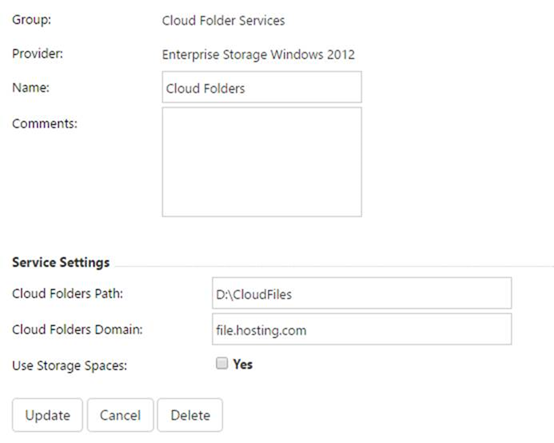 Now you can add this service to your Virtual Server, select Cloud Folder Services in Hosting Plan and start making your Cloud Folders.